I didn’t know, that my friend had passed. He was so wonderful to be around and to talk to. We often cut up together and tease each other. I’ll miss those wonderful conversations we had during the Pastor’s Conference and The General Association. 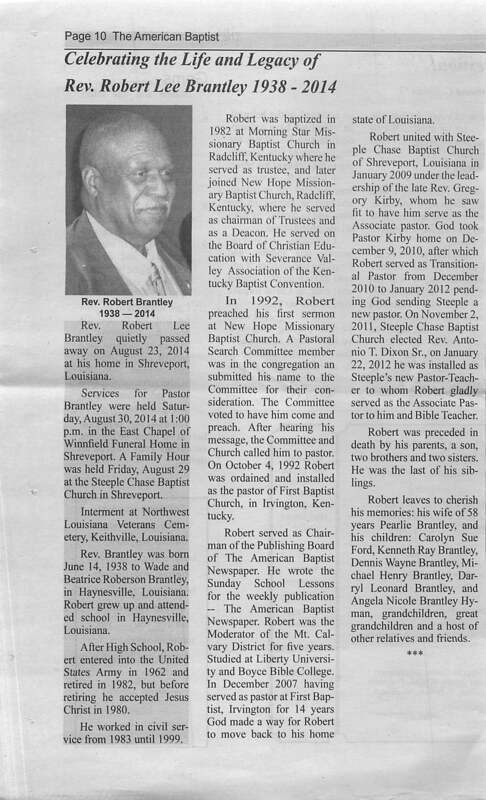 Always looked forward in seeing him when we served as Board members for the American Baptist Newspaper. Always had a word of encouragement and a gentle smile. My prayers to the family. God bless him memory.